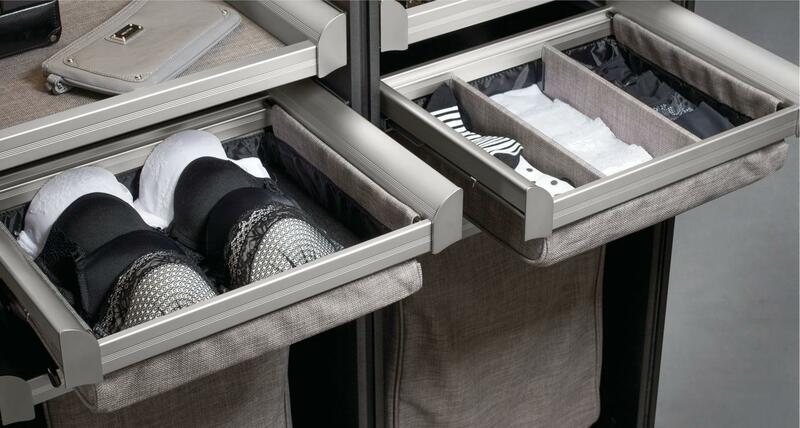 Designed specifically for lingerie that organizes more pieces in less space than conventional drawer. Included dividers are lined with the ENGAGE frabric, creating a luxurious space. Dividers can be set at any spacing required - 100% customizable compartment.